From a physical standpoint, I am exactly the same as before I donated. Karen’s story was featured in the documentary The Chain. Ventura, CA – “Many years ago, my husband and I were talking about doing a good deed for someone else,” recalled Karen Willis. “We wanted to help a complete stranger in a big, life-changing way.” Years later, Karen, 48, and her husband Joshua decided on a health-related good deed, and from there the idea of donating a kidney came very quickly. Many people in need of a new kidney have family members or friends who are willing to give but are not a direct match. This incompatible pair (the recipient and the donor) are put into the National Kidney Registry (NKR) database in hope of finding other pairs that will match them (e.g. donor A matches recipient B and vice versa). Frequently, “chains” of pairs are created such that one donor could potentially trigger a chain of donations. “I liked the idea of helping many people with my single donation,” said Karen. 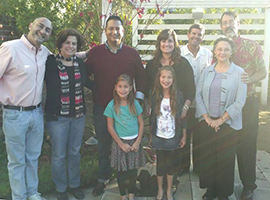 After more than a year of medical tests, Karen was approved to donate and her file was put into the UCLA kidney database. Within minutes a match was found. Joe Felix, from Orange County, Calif., had been in kidney failure since he was 19. It took a few years for his youngest brother to give him a kidney (he had to wait until he turned 18), which failed 17 years later. Now in his mid-40s, Joe needed another kidney, but was told that it would be difficult to find a match because second transplants are often more difficult to match than first transplants. After being on dialysis for a year, he was surprised when a match had been found only a few months after he went on the NKR list. 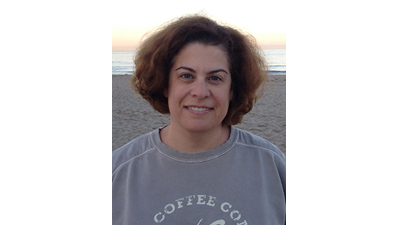 “From a physical standpoint, I am exactly the same as before I donated,” said Karen. “Within 4 to 6 weeks of the surgery, I could do everything that I could do before the surgery.